When you want to take your look from comfy casual to comfy chic, just add the CL by Laundry Studio Black Ankle Strap Flats! 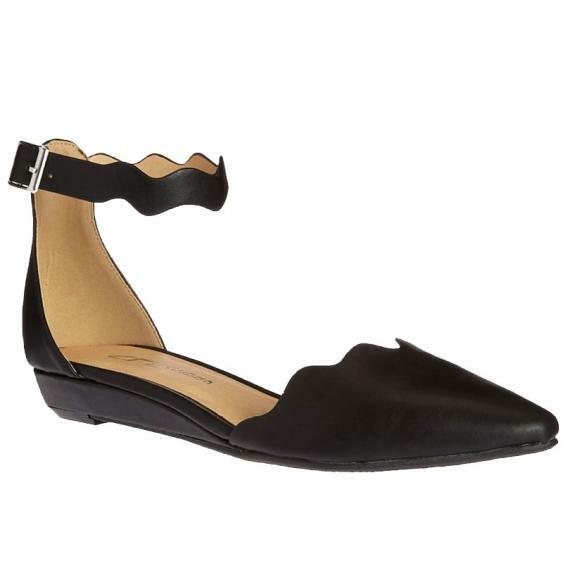 Scalloped closed toe upper and silver buckling ankle strap are formed by sleek vegan leather. 1" wrapped wedge heel. Cushioned insole. Nonskid rubber sole. All vegan friendly, man made materials. Imported.